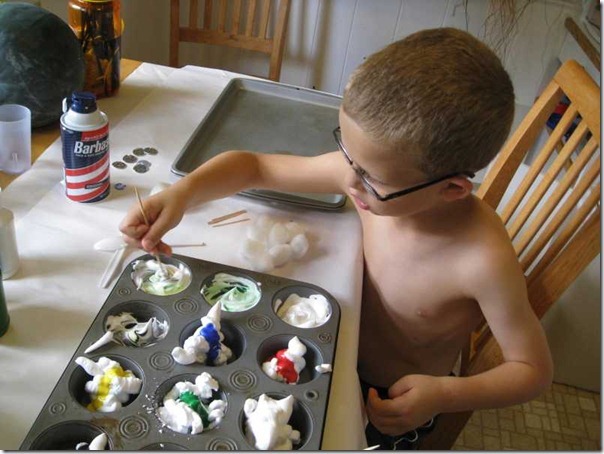 I’ve read about using shaving cream and paint together several times. Several weeks ago, I bought some shaving cream and we never got around to using it. Well, this week after my trip, we spent some extra time at home, so I got it out. Originally, I thought the kids would make rainbows or something. I added some paint to shaving cream and loaded up a muffin tin. 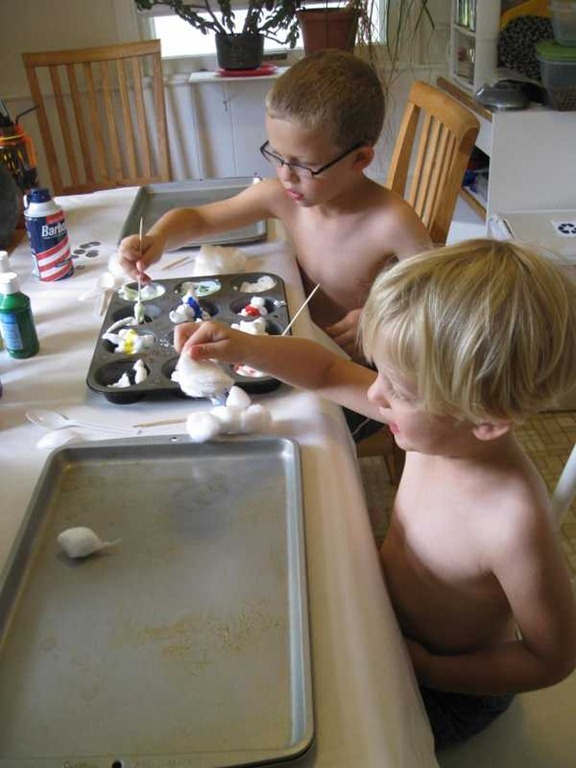 They each received a baking sheet to use as their canvas. Using cotton balls, toothpicks, spoons and their hands, they had a blast. I think they were surprised that they could do whatever they wanted. 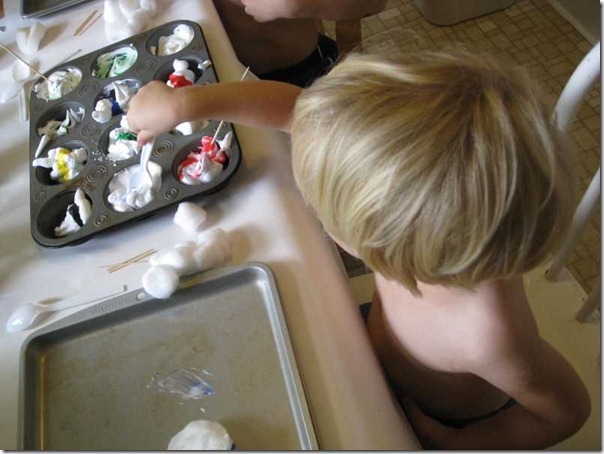 When they were done, I tossed the “brushes” and washed the dishes. Clean up was a breeze. I’m sure we’ll be doing this activity again.